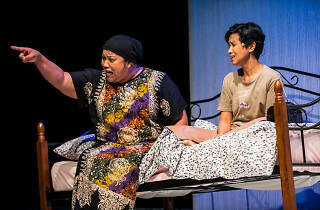 The Necessary Stage's most celebrated play Off Centre returns from February 7 to 17 at the Victoria Theatre. 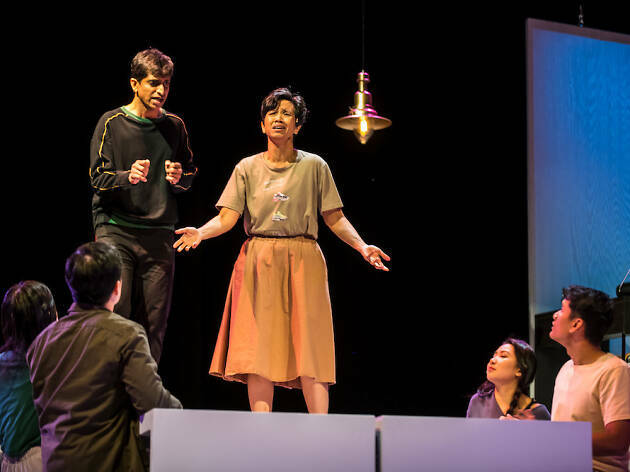 Debuting in 1993, the deeply profound play spotlights how mental illness is regarded in Singapore. 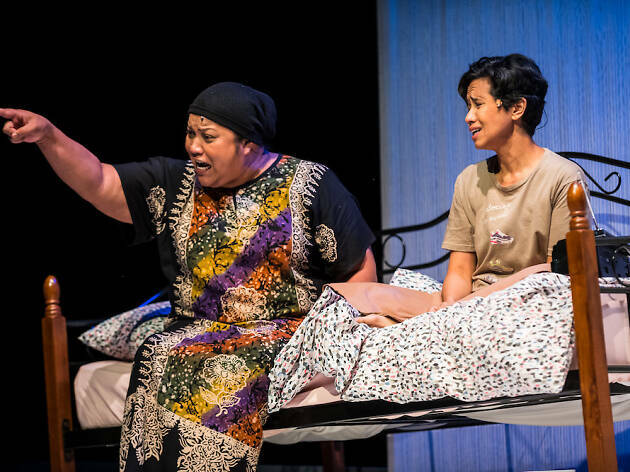 This year's revival also sees the return of the original leads – Sakinah Dollah and Abdulattif Abdullah who are reprising their 1993 roles as the protagonists Saloma and Vinod respectively. 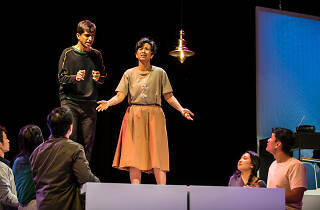 Written by Haresh Sharma and directed by Alvin Tan, Off Centre follows the unlikely friendship between Saloma and Vinod and their experiences dealing with personal conflicts and social prejudices against mental health. Three decades on, conversations about mental health and societal pressures are still as relevant, if not, more than ever. And just as timeless as the play itself are the lead actors. Sakinah Dollah and Abdulatiff Abdullah show no signs of slowing down. Props to them for reprising their young roles that have us losing track of their actual age. Both actors brilliantly showcase the juxtaposition of the two personas within themselves – the voice of 'reasoning' and the other that's 'off-centre'. The switch between the two sides are crisp and clear, so following the characters' journey and development throughout the play is a breeze. 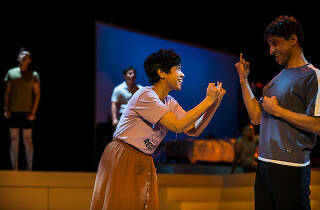 The play is set out to make the audience think, and it does just that. 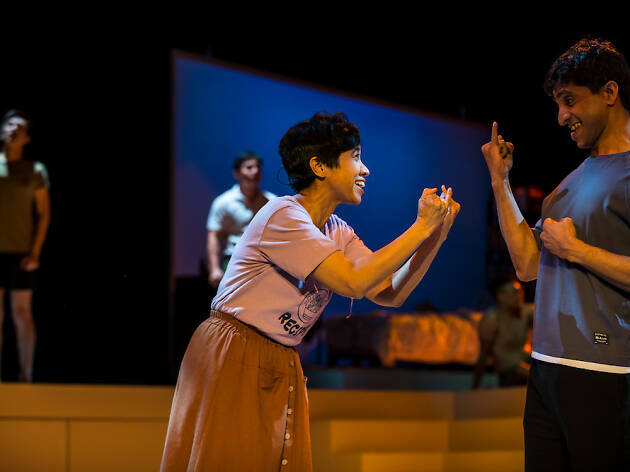 From Vinod's angsty monologues to his witty jokes, as well as Saloma's mother's state of denial, the script manages to rope the audience in word-for-word. Because there's nothing like sending a message across with rage and humour. The entire plot is well laid out from beginning to the end with details, such as the bedroom settings (how each room reflects the character inhabiting it), the song selection and even the use of code-switching, nailed down to a T. And if that's not enough, prepare to feel and see yourself in every part in each character from JC-graduate Vinod to minor characters like awkward Charlie. Not a lot of plays are able to achieve this but Off Centre hits the spot. A word of advice: pack some tissues and expect heartbreaking moments. There's no doubt you'll leave the theatre with enduring empathy. And perhaps, in need of a hug.